TRAVEL COLUMBIA RIVER GORGE: Troutdale Farmers' and Artists' Market Begins this Weekend! Troutdale Farmers' and Artists' Market Begins this Weekend! 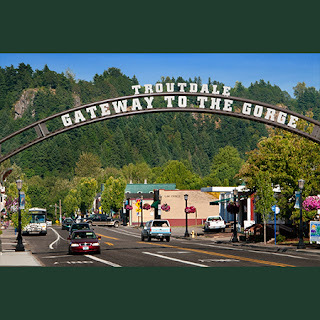 The Troutdale Farmers' & Artists' Market is located at the east end of Historic Old Town Troutdale across from city hall in Depot Park, a wonderful setting with an old telegraph station and rail car museum as our backdrop located on the Historic Columbia River Hwy. Historic Troutdale to this day has a very eclectic renaissance feel and is enjoyed by all that visit. Come join us for the day and enjoy the local merchants, live entertainment, the finest of locally grown foods and produce, gourmet cooking and fine arts and crafts. The market is an open-air market and we will be there every Saturday, rain or shine. We start on the first Saturday in April and go through the last Saturday in November. Hours will be from 10:00 A.M. until 3:00 P.M. The Holiday Market is open the 4th Friday in November and the 4th Saturday in December, 10:00 a.m. - 3:00 p.m.